The new traffic layout for Cheltenham town centre will begin, as a trial, tomorrow 28 June. The changes are the fourth phase of the Cheltenham Transport Plan, Cheltenham Borough Council’s (CBC) vision for a better town centre which will improve the environment, boost the local economy and improve traffic management. This phase focuses on changes to the road layout around the area known locally as ‘Boots Corner’ and is part of a series of improvements to raise the ambitions of Cheltenham and set our place as a destination. Councillor Andrew McKinlay, cabinet member for development and safety at Cheltenham Borough Council, says: “As the scheme begins we remind commuters it’s advisable to allow a little extra time for your journey to find an alternative route. We appreciate there will be initial disruption as people adapt to the changes and develop new routines. We advise that you plan ahead before setting out on your journey. The closure will affect the section of Clarence Street through ‘Boots Corner’, North Street, Clarence Parade and Pittville Street to Imperial Circus. These streets will be covered with exemptions for taxis, buses, cycles, and some other exempt vehicles with loading or unloading between 6pm and 10am. Changes to the traffic layout in the town centre will improve pedestrian, cycle and public transport access and reduce car use in the town centre. With the aim of creating a space for people to enjoy, the High Street will soon see installation of new timber planters, timber seating areas and more cycle stands. 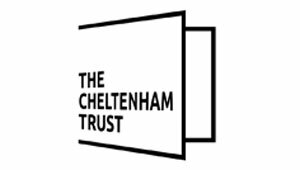 Nicola Inchbald, planning and development consultant, says: “My clients ‘Cheltine’ have been investing in Cheltenham since 1876 and have seen many changes in the town centre over the years. It feels that town centres and retailers are under pressure like never before and Cheltenham town centre needs to respond by creating a sustainable town centre where people continue to choose to visit as a leisure experience, as well as a retail one. “The Boots Corner improvements represent a great opportunity to create a pedestrianised axis linking the whole High Street and Promenade, removing the artificial barrier created by the through traffic. Footfall, traffic flow and journey times will be monitored throughout the trial using a variety of methods. More information about the Cheltenham Transport Plan and sustainable travel with links to services and frequently asked questions can be found on the council’s website. New blue badge spaces; have been created in Crescent Terrace; Inner Promenade; Grosvenor Place South; Imperial Square (East); and Clarence Street. Blue badge parking is also available in Cheltenham Borough Council car parks. The council also runs a Shopmobility schemewhere residents and visitors can register and pre-book wheelchairs, motorised scooter or other required equipment. Call 01242 255333 or email shopmobility@cheltenham.gov.uk to register and use the service. Residents and visitors can share their feedback about the trial scheme formally at gloucestershire.gov.uk/ctp from 28 June 2018.